3 July 2009 - Remember all the rain we had this Spring? We cannot drive tractors onto wet fields, it compacts the soil, which is bad. But we needed to plant our Pumpkin seeds for our Fall harvest. Farmer Ben and his crew decided to plant the pumpkin seeds in raised rows through black plastic. 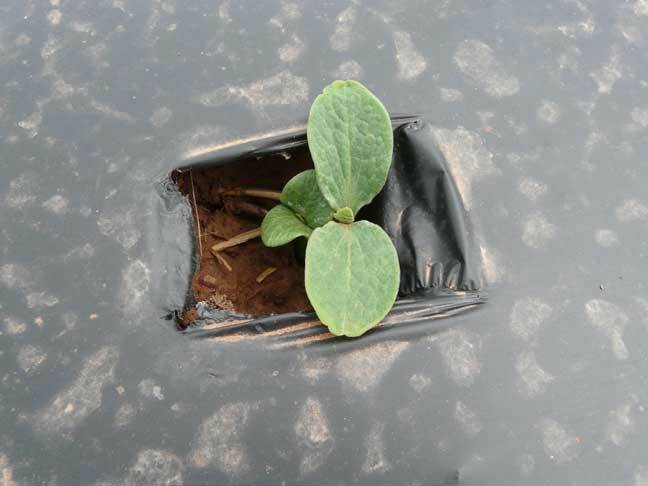 Since they were planted a bit late, maybe the warmth from the black plastic and it's ability to deter weed growth will give the pumpkins a boost.